Recently research on datatable bind with database. Those programmers are brilliant to create binding method. 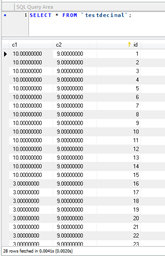 when execute, all rows with c1 =10 updated! database update successfully! fast and convenient way!